Historical Marker #1592 commemorates George Eskridge who settled in Grayson County around 1811. “Kentucky George” Eskridge, born in Virginia in 1763, served in the American Revolution before settling in what is now Grayson County. Called “Kentucky George” by family and friends, this name differentiated him from several other family members who were also named George. Serving as a sergeant in the Revolutionary War, Eskridge was at the Battle of Cowpens in South Carolina, north of present-day Spartanburg. The battle took place on frontier pastureland (resulting in the battle being named “Cowpens”) on January 17, 1781. 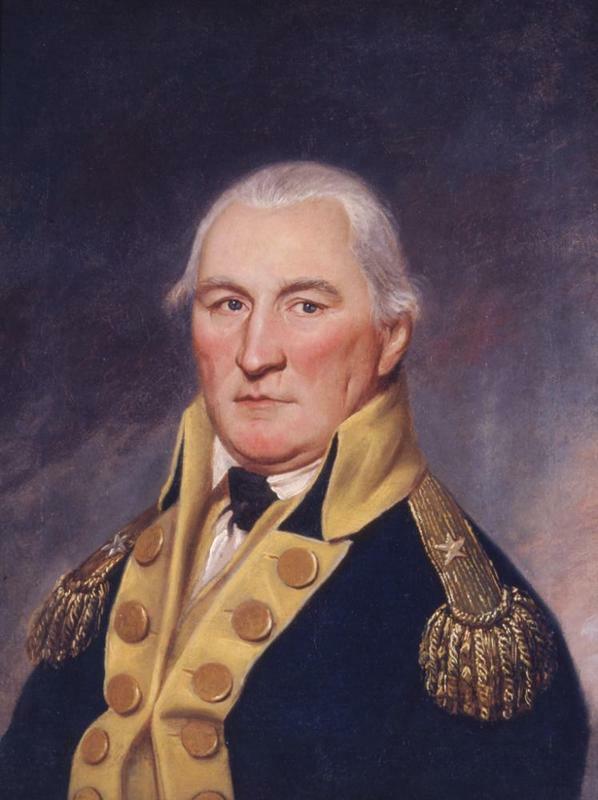 The army of Continentals and militia was led to victory by Daniel Morgan, who defeated British Lieutenant Colonel Banastre Tarleton and his army. A major victory in the south, after October 1781, the British gave up on the Carolinas and moved on to Virginia. After the American Revolution, Eskridge moved his family to Grayson County, Kentucky. He owned two hundred acres on the Rough River, became a farmer, and operated a ferry across the Rough River between Grayson and Breckinridge counties. The Eskridge cabin remained in part until the early 1970s. Ensconced in the present-day Rough River State Park, it was torn down in 1975. According to one park superintendent, most of the wood was unsalvageable but the best pieces were used to repair other log cabins in other state parks. “Kentucky George” Eskridge died in 1827 at age sixty-four. He died at his home in Rough of Falls, Grayson County, Kentucky. Daniel Morgan: Brigadier General Daniel Morgan led the Continental Army at the Battle of Cowpens. Courtesy of Virginia Historical Society. 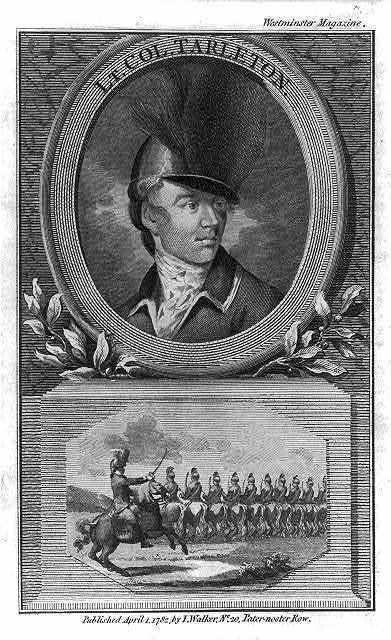 Banastre Tarleton: This image is a print of Lieutenant Colonel Banastre Tarleton, who came to symbolize British cruelty during the war, after the Battle at Waxhaws in May 1780. Courtesy of Library of Congress. Ashlee Chilton, “Revolutionary War Soldier,” ExploreKYHistory, accessed April 22, 2019, https://explorekyhistory.ky.gov/items/show/647.